Jenny Cavanaugh was dead, and she wasn’t happy about it. “Yes, Mr. Jackaby,” I whispered back. Abigail hopes that her birthday will slip by unnoticed and uncelebrated, but her employer, detective of the supernatural R.F. Jackaby, has other plans. 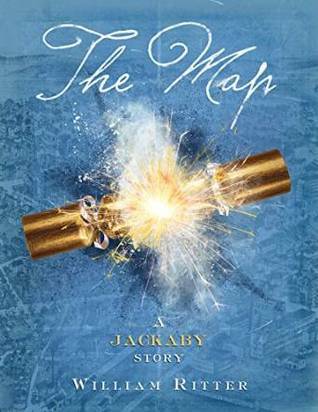 Using magical party crackers that teleport the pair to unknown destinations in time and space and a cryptic map that may lead to a forgotten treasure, Jackaby intends to give Abigail what he considers to be the best gift of all – adventure. This premise sounds brilliant! When does the book release? Thank you! It’s out on September 16th. Do you offer autographed pre orders? I’d love to get my hands on one! I’d love to—I’ll chat with my publishers about that. I absolutely love this book! I am hoping you become more active on goodreads so I can see when the next one is coming out! I’m in the process of writing my blog review of it despite my blog being new. Fabulous book! I blogged about it today. 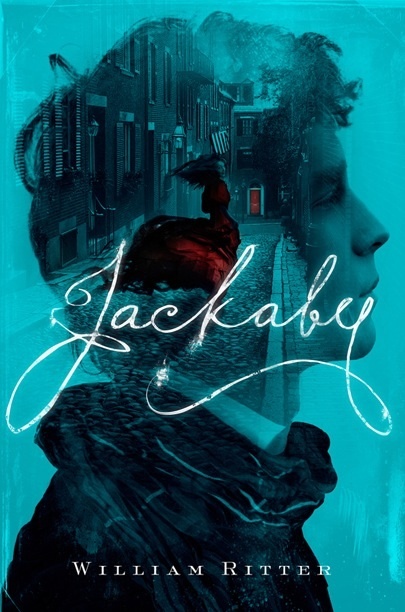 http://mlreads.com/2014/10/05/a-young-adult-novel-jackaby-by-william-ritter/ Please tell me there are more books about Jackaby and his assistant, Abigail Rook in progress. Lovely post—thanks so much! There are more books in progress, most definitely. I am very happy that Algonquin Young Readers will be publishing the sequel in the not-too-distant future. when’s the next installment coming out? i’m disappointed a bit that the female lead didn’t get too to more than i expected … but i’m holding out hope for the sequel. it’s just part of a bigger story, right? 2015. Abigail Rook is just beginning her adventures. So excited there will be a sequel! I LOVED this story, just finished it! I hope there’s many more adventures still to come! What an absolute treasure this book is! It is always wonderful to find a talented writer! Thanks so much! When is the next book coming out I’m really looking forward to it. 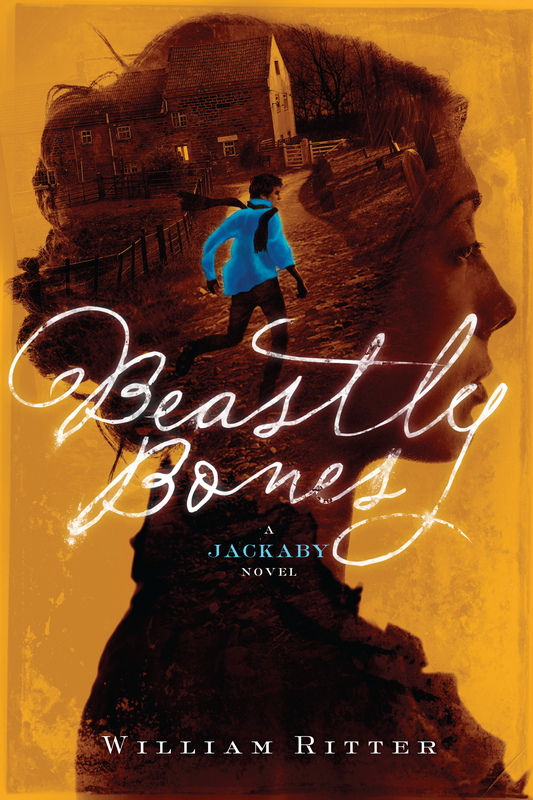 BEASTLY BONES is scheduled for September 22nd, 2015. Hey really enjoyed your book. I think just about everyone loves the twist with the banshee. I had to stay up and finish the book when I got to that part. I think i finally fell asleep at 1:30ish. Nice work on how the beginning scene is the opposite of the end scene, I admit I didn’t notice it until later. Darn, I have to wait until Sep. for Lockwood and now Jackaby too! Absolotely loved the series! Just finished Beastly Bones earlier today. When does the next one come out? I need to know what happens! You’re a very talented writer, and I love the concept. Jackaby reminded me so much of Doctor Who during seasons 2-4, and I cannot wait to see what other adventures him and Abigail get into. I enjoyed both of your books very much! Is there any chance that you can hint about the next one, if there is to be one? (Although you obviously left it open for a third…) Can you give us a hint as to when it might come out? I’m afraid I missed your question earlier! GHOSTLY ECHOES will release this summer, August 23. Thanks for reading! I love reading Jackaby and I’m on my third time reading it, but I guess I’m not that bright. I can’t catch the Allusions others have talked about such as the police officer Allan being named after Edger Allan Poe. What others examples is a simpleton like me missing? You’re not simple! The allusions are barely there—really just me dipping into the existing genre whenever I needed a name. Most are little more than a passing mention of a fairly common name. Here are a few to keep your eyes out for: Arthur and O’Doyle are both used to reference Sir Arthur Conan Doyle (Author of Sherlock Holmes). Allan is for EA Poe, as you said, and Officer Dupin is named for Poe’s detective character C. Auguste Dupin. There is mention of a nymph called Agatha and of a priest called Father Grafton for authors Agatha Christie and Sue Grafton, and the larger character Charlie Cane is a nod toward Charlie Chan. Mayor Spade and Inspector Marlowe are for pulp detectives Sam Spade and Phillip Marlowe. Their respective authors were referenced as well; Chandler’s Market, and its proprietor “Ray” are for Raymond Chandler, and the ill-tempered Hammett is a reference to Dashiell Hammett. Place names borrowed less from the detective genre and more from occult history with nods to Gad the Seer, Aleister Crowley, the Brahan Seer, Joseph Glanvill, etc. I just read JACKABY in one sitting (took me about 5 hours), and I have to say that I figured out both the “surprise” twists well before they were revealed. I got the “whodunit” right off, though it took longer to figure out the WHAT done it. Possibly, as an older reader (mid-thirties), I have more practice at it than your target audience. But my point here is that I STILL READ IT! All in one go. And I enjoyed every page. It made me laugh several times, in fact. So I have to conclude that if the mystery wasn’t holding me there, it was the characters themselves who were so fascinating. For which reason I have to say, Well done, sir. Very well done indeed. I literally just finished your latest book Ghostly Echoes, and I decided I wanted to come check out your website to see what more you’ve done. The first thing I saw was your blog on the struggle to have a diverse literary field. I greatly appreciate the distinction between earned and deserved. I love your writing and your compassion, which is clearly shown in your Jackaby series, and I look forward to reading new stuff from you in the future! and the 4th is slated for Summer of 2017. On the website I mean. I saw in a recent reply that there will be a fourth book in the Jackaby series. Will that be the last book or do you plan on writing more? The fourth Jackaby title is set to be the last in the series. I do love these characters, and I may return to them some day, but the final installment brings closure to the grand story arc. I just want to tell you how much I love these books! I laugh so hard and I am so intrigued with the plots. I am so very excited about the fourth book but I have to say I am sad that it is supposed to be the last in the series! Jackaby and Abigail Rook have quickly become some of my all time favorite book characters. Thank you! i have been reading all of your book and i LOVE THEM. And I was wondering when the fourth book will be coming out. I can not wait. I have to ask, is there a date, summary, or cover picture coming out soon? I can’t wait! Hello! I was wondering if your books are expected to be translate in french someday… They seem pretty cool and I’ve read really postive reviews, I’d love to read them! Je suis désolé. J’aimerais une édition française – j’ai étudié le français à l’université – mais je ne sais pas. Je vais parler à mon éditeur. Merci pour votre intérêt! Your series was absolutely stunning. There are very few words that can describe how wonderfully your world was created, how detail oriented and how absolutely fantastic your stories were, and even these words now are paltry compared to how I feel. I could not put your books down at all and finished the four books and your novella The Map within five days. Your end to the series was beautiful and while I crave so much more of this series, I can accept this as an ending to the series as well. I only pray to see your name once again on another series in the times to come. As an avid reader and a woefully inept and scatterbrained author, (someday maybe, if I ever manage to focus and create a proper story line), I simply adore your style. You created so many vibrant characters, made inclusions to severe minority groups that I have never seen before, expressed concepts that could truly affect the younger generation and guide them to a peaceable and kinder potential lifestyle in the future, and made all of it so enjoyable and fantastical, so inviting, that one is compelled to read non stop and then begin all over again. Again, all I hope for is simply to hear one day that a new William Ritter book is about to be published. Keep that chin up and your sight open, good sir. I’ll bet you have a chipper and cheery aura all about you that manifests that wonderful writing style you have. A true gift. How exceedingly kind of you! I am delighted to hear that my stories found such an enthusiastic and receptive reader. Thank you so much for writing! I can only hope that my next project remotely lives up to this encouragement & praise. I am absolutely certain it will, sir. I eagerly await the day for your next book. The praise is justly deserved and you should feel exceptionally proud of yourself. Your Jackaby series is absolutely stunning. These books are definitely one of the better book series I have read in a very long time, and I certainly read my share. I am a little bit sad to see the Jackaby series end with The Dire King. It was a spectacular conclusion that had us, the reader, on the edge of our seats till the very end. Leaving me heartbroken, and wanting more, but the last page certainly makes up for the heartrending death…(that I won’t spoil for any other readers reading my comment). I know that the series has come to an end, but know that Abigail is a Seer, is there any chance that we may see these characters in another story? I can’t imagine that the weird and fantastical life that is in New Fiddleham has just stopped. There must be other adventures for Abigail, Jackaby and the rest of the group. I know that if you continue writing I will no doubt keep reading about the magical world your characters inhabit. Thanks so much! You’re very kind. I will absolutely miss writing about these characters. No closed doors… I may return to them someday, or perhaps visit some of the other inhabitants of New Fiddleham, but I am currently at work on another story with a whole new cast from not too far away. I do hope a few Jackaby fans might be willing to venture into the Deep Dark with me when that one’s done. I know that I will venture forth with this new project of yours once it is completed. I can’t wait to see what you do next, and I’m sure it will be just as wonderful as Jackaby was. If you keep writing you will have at the very least this faithful reader. 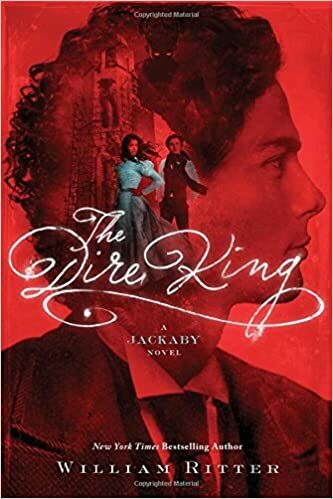 In the book the dire king, in the end when [SPOILER] does jackaby turns into [SPOILER] or [SPOILER]? Answer: Jackaby is flesh & blood. I just finished reading the series. I do have a pressing question. What was Jackaby real name? I’m keen to know. I truly loved this series! But as a fan I must say we need a Rook series now! It can not be the end of these! It’s so so important! Keep writing these are great!